Are you a first-generation Canadian or American? Have you ever struggled to fit in? Have you ever struggled with balancing your cultural background with Canadian or American culture? I know I have. I share my experiences through this video series and would love to hear your thoughts and experiences. I remember while growing up, I often got teased for things that were just part of my culture. For example, I always had my hair in a braid. The other Canadian girls just didn’t get why I wasn’t allowed to keep my hair out…and neither did I. All I knew was that I was a Punjabi girl with long hair so it should be in a braid. Looking back on my experiences growing up, I can now see what a huge impact they had on my life. 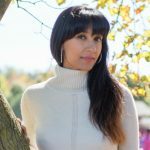 These experiences helped shape how I grew to incorporate Indian culture into my life as an adult and especially as a parent. No matter what country your family immigrated from, I think all first-generation Canadians and Americans have felt the struggle to find a cultural balance. It’s time to talk about it. This video is part one of a three-part series talking about the struggles and realities of being a first-generation Canadian when I was growing up. Part two will discuss the late teen and early adult years, and finally, part three will discuss the struggles I am currently facing as a parent to three young boys. I would love for you to be part of the conversation and share your experiences! Are you a first-generation Canadian or American? Next articleWomen are Rising in Politics — So Why Don’t More Brown Girls Run for Office?